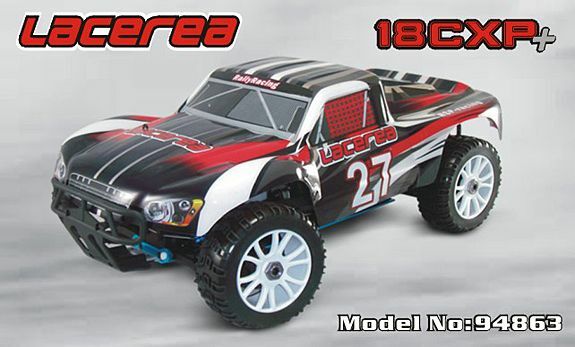 Compared with LACEREA stock version rally car, LACEREANC2 rally car , launched and improved by Mr. Niki, a famous Hongkong RC expert, looks more professional to be a genuinely competitive RC product.Not only precisely proportional modification but also delicate reconstruction are applied to the new version vehicle. Shock towers are made to be of new prevalence. 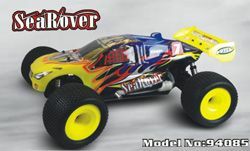 Radical change of design allows new chassis and linking arms.The engine has also been oriented on the right side on the chassis. 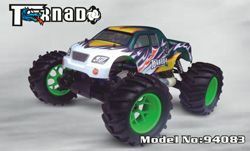 What is more, the car will come with a new body shape.... All the way down, the new version car becomes stronger in shape and is of higher performance than before. 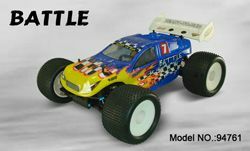 Rally cars cast spell to RC drivers and become more popular lately. 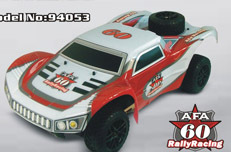 HSP approves a series of rally cars. 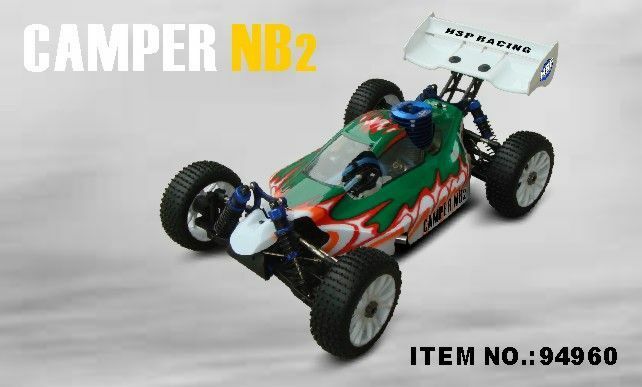 Here is coming HSP 1-8th scale fuel powered rally car. 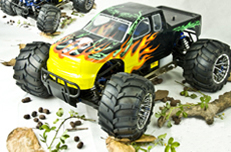 This 1/8th scale rally car is of high performance combined with superb traction on tough terrain. Having been installed with desert truck body, this car appears to be more aggressive. 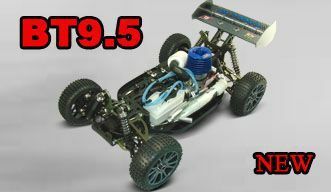 HSP offers a large number of aluminum hopups that allow you to easily upgrade your RTR kit. 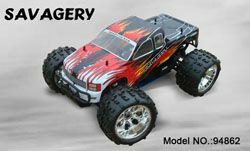 The nitro powered racing version 1/8th scale off-road Truggy is one of the most exciting,touchest. 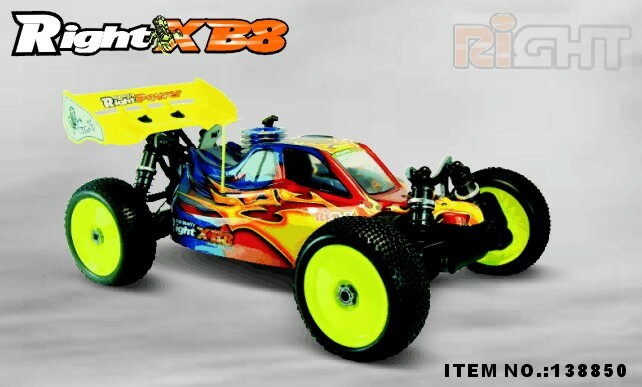 Two speed transmission,high quality diff.gear,extra large 21/28 CXP engine are never fail to satisfy with the R/C fans.Just fuel it and start it. 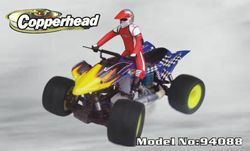 Hi-Speed 1/8th scale nitro powered off-road Truggy is the lowest price with good quality. This model has all the features including the compact front bumper,extra large fuel tank,aluminum radio tray/shock towers,aluminum shock absorbers,knobby off-road tires,new style wing,etc.Please pay your close attention on our 1/8th off-road Truggy.You will be proud if you are in possession of our 1/8th off-road Truggy. 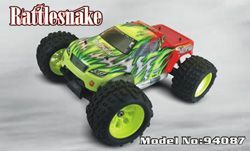 Hi-Speed 1/8th scale PRO nitro powered off-road Truck is the lowest price with good quality. 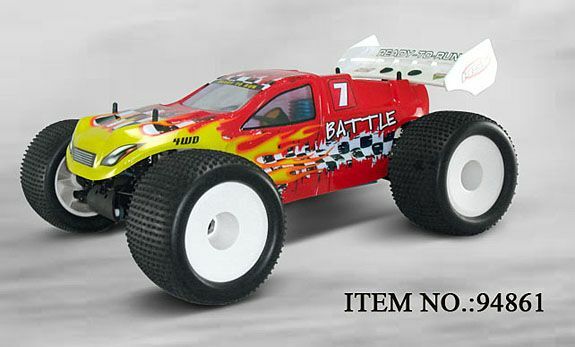 This model has all the features including the compact front bumper,extra large fuel tank,aluminum radio tray/shock towers,aluminum shock absorbers,high quality off-road tires,new style wing,etc.Please pay your close attention on our 1/8th scale PRO off-road Truck.You will be proud if you are in possession of our 1/8th PRO off-road Truck. Hi-Speed 1/8th scale nitro powered off-road Truck is the lowest price with good quality. 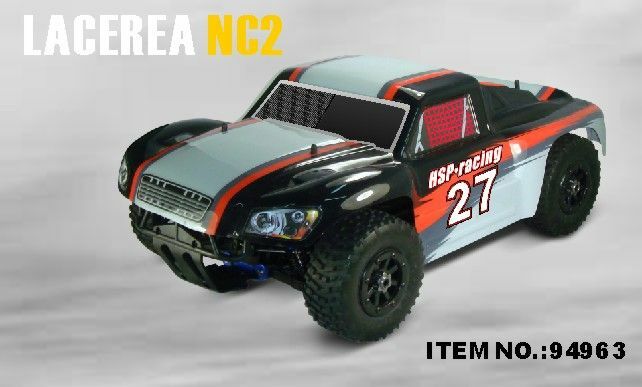 This model has all the features including the compact front bumper,extra large fuel tank,aluminum radio tray/shock towers,aluminum shock absorbers,high quality off-road tires,new style wing,etc.Please pay your close attention on our 1/8th off-road Truck.You will be proud if you are in possession of our 1/8th off-road Truck.